CatVando is a volunteer-run nonprofit funded only through donations. Sponsors are essential to helping us provide quality care for cats and kittens in need. Sponsorships allow compassionate people to help homeless cats until they find their forever home. Most cats can be sponsored for $20/month. Sponsorships are tax-deductible. Read each unique cat’s story below. 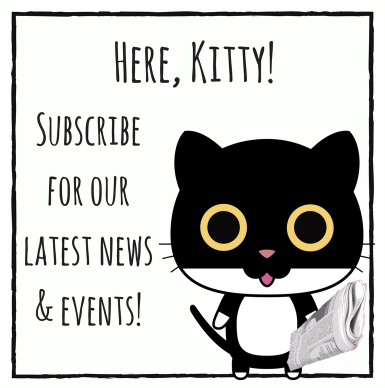 Click on the cat’s link to sponsor the cat. At 7pm on a Friday night, there was a knock at the door and there stood a stranger and a dirty 4-month-ish old kitten. Tiffany panhandles up the street on the frontage road from 290 at 1st Avenue. She saw someone pull over on 290 and put out a kitten. She climbed the fence and down the hill, got the kitten, climbed up and, because everyone in the neighborhood knows where to bring stray or helpless animals, she brought her here. Poor little girl was wormy, covered with fleas, skinny and filthy but was purring. Taken from 290 (Eisenhower Expressway), how could we help but call her Ms. Ike! She’s warm and safe and will be on her way to a good home. For now, we’re caring for her, deworming her, and taking her to the vet. 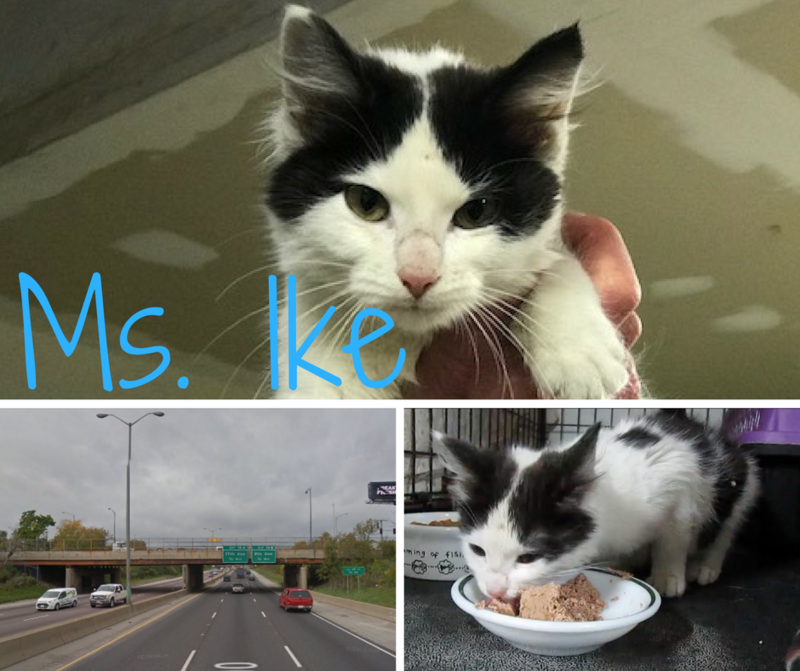 Would you open your heart to sponsor Ms. Ike? Blackie came to us with Stomatitis. After 3 consults, the plan was to pull all his teeth, which happened over the course of 5 surgeries. 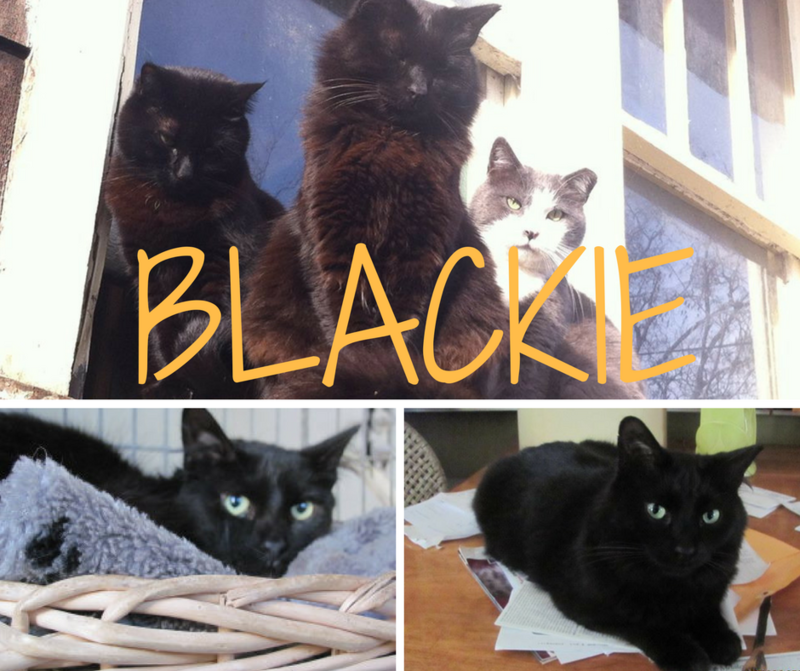 Blackie enjoyed 3 pain-free years. Unfortunately, a few months ago, his gums inflamed and he developed lesions. The first treatment was an oral antibiotic. Some cats are easier to medicate than others, and giving medicine to Blackie is like medicating a feral. The poor guy’s mouth was so sore he fought anything coming within inches. He wouldn’t eat in food. The next vet gave him Convinia, depamedrol and vitamin B injections. It worked to stop the pain and inflammation but it’s temporary. The down side is the cycle of pain between shots. This treatment lasts about 18 days. We’d like to raise the funds to take Blackie to a specialist to see if there’s a better treatment plan.